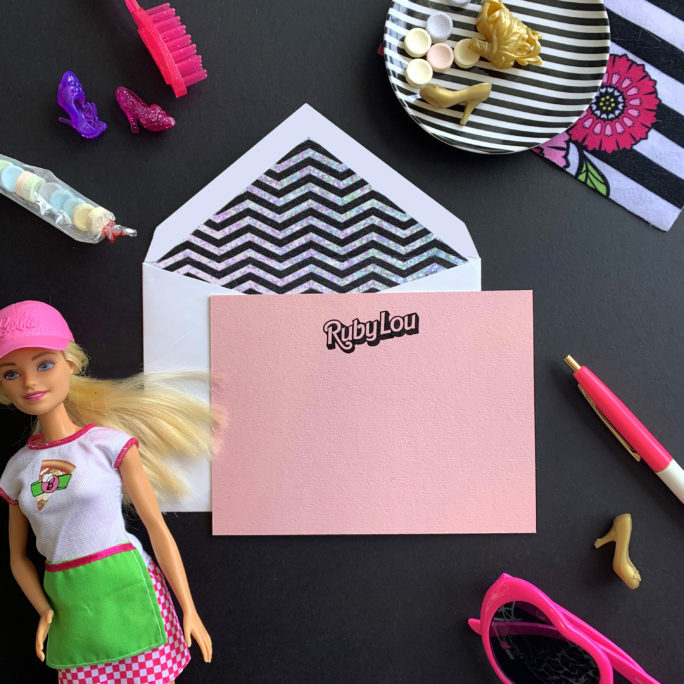 This kid’s customized stationery set was specially designed to celebrate Ruby Lou’s 3rd birthday. Thanks, Arielle, for thinking of us. 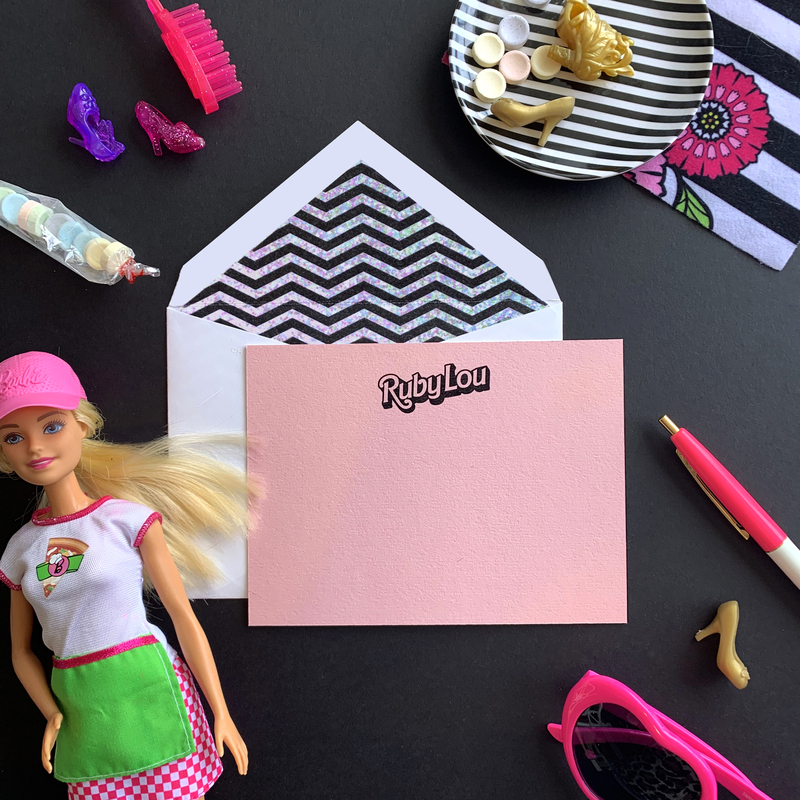 Customize this light pink card with your kid’s name in black! 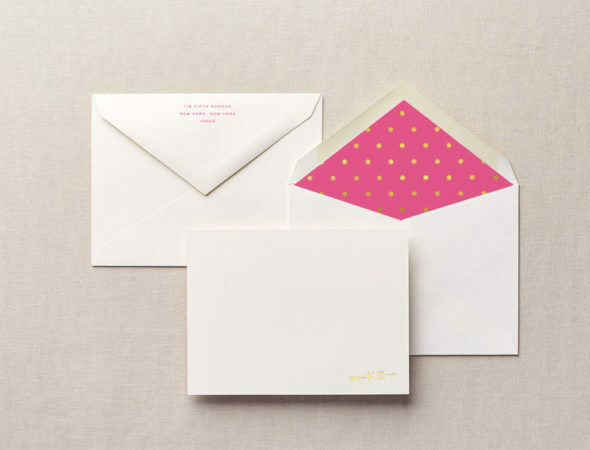 And opt for the glitter chevron envelope liner to really delight your child.